When the Detroit Red Wings training camp gets underway in September, several prominent players won’t be in attendance. Justin Abdelkader, Niklas Kronwall, Dylan Larkin, Frans Nielsen, Alexey Marchenko, Petr Mrazek, Tomas Tatar, Thomas Vanek, and Henrik Zetterberg all will be competing with their respective World Cup of Hockey teams instead. With these nine players absent from training camp, it makes you wonder how they’ll fare once they return and the NHL season starts. In the past, players who have gotten hurt in camp and missed significant practice time usually start slow when returning. Pavel Datsyuk, Darren Helm, and Stephen Weiss are a few players that come to mind who missed parts of training camp and stumbled out of the gate upon their return. Though these players are not missing due to injury, they will be missing quality time to develop chemistry with their linemates. And for those new to learning the Red Wings’ system, they’ll miss out on development time with Jeff Blashill and the assistant coaches. It takes time to learn the playbook, even for professionals in the NHL. For newcomers Nielsen and Vanek, this missed time could result in a sluggish start in a Red Wings uniform. There is a silver lining to the players’ excused absence, however. With these prominent players out, younger players like Tomas Jurco, Tyler Bertuzzi, Anthony Mantha, and Xavier Ouellet will get a chance to step up and earn more responsibility at training camp. 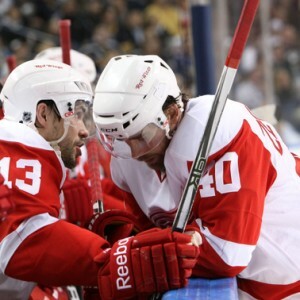 It will be unfamiliar territory without Zetterberg, Kronwall, and Datsyuk in camp. But in their absence, others will need to assume a leadership role with the Red Wings. Players like Gustav Nyquist and Jurco could also use this as an opportunity to prove their country’s (or region’s) selection committee wrong. They could use the motivation coming from a World Cup spurn to have a fantastic camp and set the tone for a breakout 2016-17 campaign. If any players make it to the best-of-three World Cup championship, the final game would take place October 1st, meaning they would miss all of camp, plus the first three preseason games. 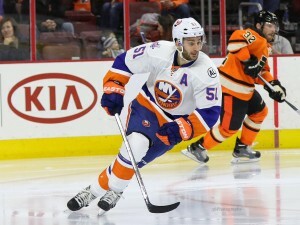 This would give others more ice time and some the opportunity to play against the top competition from other teams. Riley Sheahan, Nyquist, and Jurco could be lining up against the Penguins’ and Bruins’ top non-World Cup players, further aiding their development. While it would be beneficial for all players to be in camp, perhaps some good can come out of it. Those in the World Cup will begin their training and playing at a higher level sooner. And for those in camp, they’ll have the opportunity to grow more as players. If all can avoid injury, the Red Wings may not face difficulty starting the season. All 30 NHL teams will be in the same boat. It will be up to the coaching staff to put the Red Wings in a position to succeed, given this unique start to the season. Will the World Cup of Hockey have an adverse effect on the Red Wings? Share your thoughts by commenting below.